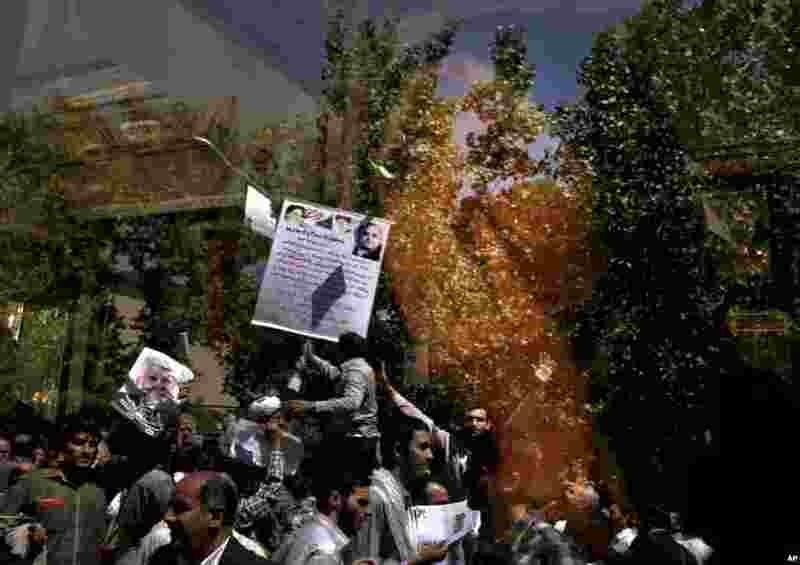 Six men are vying to become Iran's next president in the June 14 election. 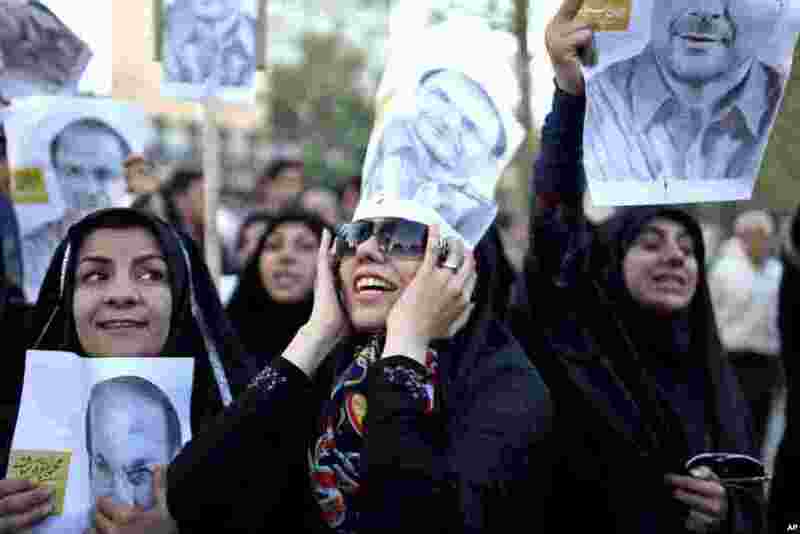 5 Supporters of Iranian presidential candidate Mohammad Bagher Qalibaf, who is also Tehran's mayor, chant during a street campaign, Tehran, Iran, June 9, 2013. 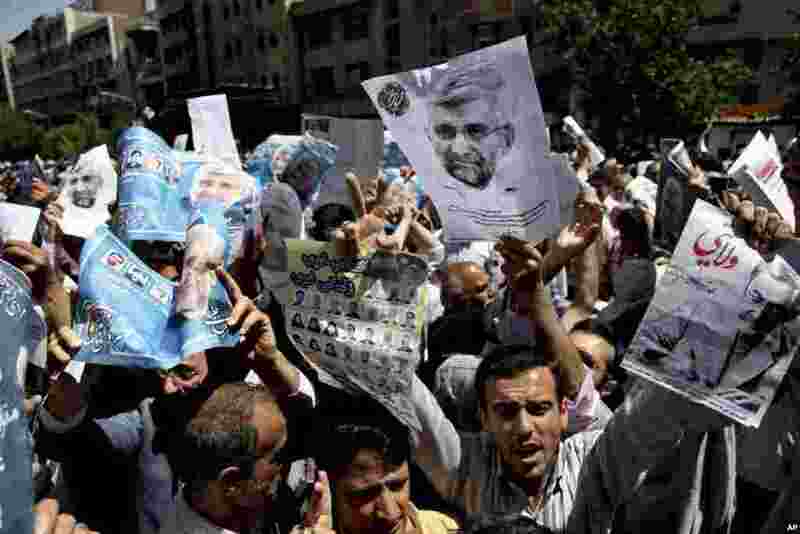 6 Supporters of presidential candidates Ali Akbar Velayati, shown in the poster at right, and Saeed Jalili, center on the poster, attend a street campaign after Friday prayers, Tehran, Iran, June 7, 2013. 7 A woman looks out of the window of a public bus as supporters of presidential candidates attend a street campaign, reflected at the window after Friday prayers in Tehran, Iran, June 7, 2013. 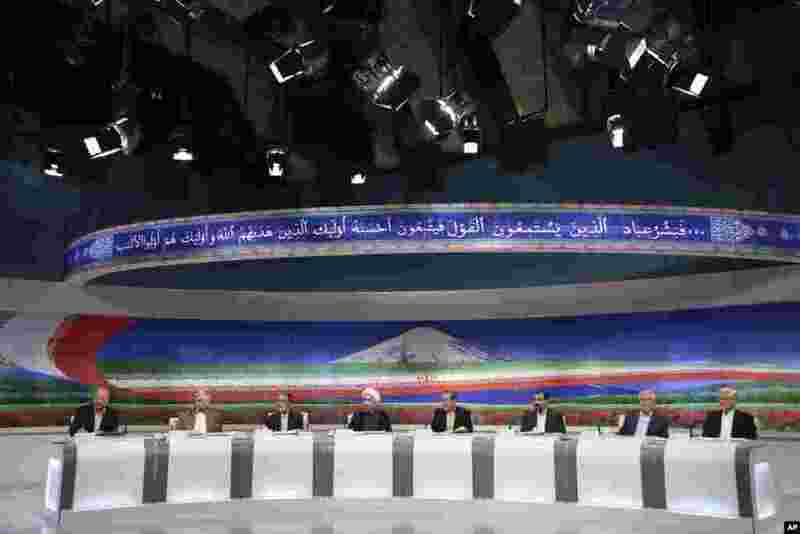 8 This photo released by the Islamic Republic of Iran Broadcasting shows presidential candidates taking part in a televised debate, Tehran, iran, June 7, 2013.